Our hero Alex arrives at work and discovers a surprise in the elevator. The grating automatic voice burrowed into my skull like a hand drill boring into wood. I was still wrapping my head around what Dottie had become, repulsed by how casually she had stubbed out lives for my convenience and nearly forgetting that I had a twelve hour day ahead of me. But I had to do it. Even if I didn’t know if I could take up my perch across from the death house at seven o’clock. But I would still it. Bigger men than me had turned with the Ruler and I wondered if my number would ever come up. Bearing witness to our nightmare was the only way to figure out how to fight it. It kept what was left of my heart alive, although I felt like the most frivolous impostor for playing backgammon, for daring to connect, for finding my own entertainment outside the hookups and the violence. In some ways, I was just as culpable as the murderous rabble. I stepped across the long stretch of the chartreuse laminate floor that had just replaced the neon orange granite, which in turn had uprooted the gold-tinted limestone installed and drilled out only months before, and entered the elevator that every worker had downvoted in a rare act of passive-aggressive solidarity. The world had hardened so much that you had to be grateful for even the smallest acts of resistance. It was a minor affront to the myth of zero tolerance, a New Amagacan policy that could only be upheld when death was as cheap as flour. The rattling building was always under construction, always aflutter with relentless aesthetic tinkering to get closer to the Pure Pleasure ideal. We would spare no expense in erecting a pleasure friendly infrastructure. The government had deep pockets from the wealth it extracted from the daily seven victims, who were denied even basic inheritance rights as the death house growled for their lives. It was important for New Amagaca to be a sustainable nation, preserving and redistributing resources to any fine corrupted mind who was prepared to carry out the Ruler’s edicts. We had somehow enacted billet transfer programs for the widowed and the orphaned, but if these souls didn’t grieve within a month or display the appropriate gratitude for the many “thoughts and prayers” that the aldermen had announced on the social networks, they would be sent to the camps for emotional recalibration. I had been able to justify most of my repeals simply by filing reports to the hard-hearted bean counters showing why and how it would be cheaper for my cases to use their talents for the world rather than getting trucked off to the camps. If I had to, I would painstakingly coach a near lost cause on how to act and eat at brunch. I wanted people to survive. If enough people lived, perhaps there would come a day in which the daily seven would stop. 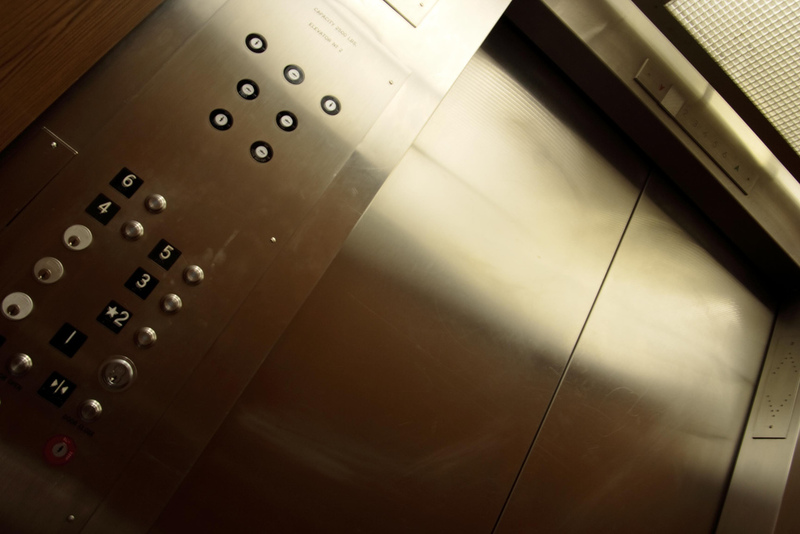 The smart elevators were not as intuitive as the government believed. When the Ruler had banned all up and down buttons, he had believed, as many New Amagacans did, that tech was the infallible path forward. But in halting those accidental run-ins with people on different floors, the Ruler had deracinated the more natural connections between strangers. The jokes joking about the latest news. The friendly chatter about the weather. We were meant to hookup because it was vital for the government to log every social interaction. Even before the Great Turnover, we had surrendered all our personal information to the social networks, giving our most intimate feelings away for an opportunity to find love or to move animated bits of candy around on a pulsating screen. When you train a populace to surrender the tenderest knickers for nothing, it is easy to push them into behaving for much less. The climb to the 427th floor was always a long one, but that had not stopped two hookups from going at it behind me. The elevator romps had grown more popular in recent months as people scrambled to preserve their status ratings. They had replaced the morning quickie as a fast way of earning an upvote. They were working us harder and some of us didn’t have the energy to hookup as much as we like. I straightened my tie as I noticed Samantha Lowry, Vice President of Claims Review, against the elevator wall, arching her legs around Cliff Huld’s alabaster torso. I didn’t like Huld very much. He was smug and pompous and always delivered these interminable and uninteresting tales whenever you replenished your coffee. He had a nurse named Leni who often followed him around as he moved from chamber to chamber leading his case load on, never granting repeal and always boasting about how he had become the ping-pong champion in Sector 52. But I didn’t downvote him. I tried not to downvote anybody, even the most deplorable souls screaming obscenities in the streets. But Huld really liked being a four and had to hookup more frequently than the rest of us to preserve his precarious status. That Samantha had taken pity on him was something of a surprise, given that she was less than a tenth away from being a five. Small talk was always difficult when you saw a colleague thrusting his hips into someone who you had delivered a report to only two days before, but it was not impossible. Huld didn’t say hello at all. But Samantha was enjoying herself so much that this hardly mattered. She shrieked with want at the top of her lungs as the elevator dinged and the doors slid open. I walked into the receptionist area. The elevator doors closed behind me. Ben was there with a big smile. He handed me the morning dispatches. “Rough morning commute, that’s all,” I said, flipping through the new reports. I skipped the morning coffee routine and passed up the Casual Friday bagels. People often got so excited about bagels that you would often see scenes that resembled something out of that old Pasolini film, Salo, as you spread your schmear. I decided to head to Chamber 22 and get the new case intake out of the way. I opened the doors and saw a woman handcuffed to the stainless steel table. She was crying. Now I knew why she couldn’t meet me for backgammon. 11357 / 50000 words. 23% done!